PageUp, an Australia-based software company, has revealed that its IT systems were breached in late May of this year, potentially compromising the personal data of over two million customers worldwide. The company is responsible for producing cloud-based HR software for recruitment companies across 190 countries, including the US, UK, Australia and Singapore, which is used to manage employment within many major companies. 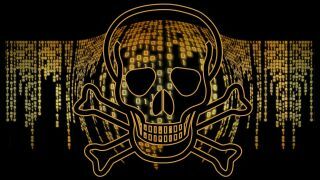 While the full extent of the breach is yet to be revealed, data such as bank details, personal information and Australian tax file numbers was stored on the IT system that experienced the malware. At present, the company has only notified the appropriate government authorities in the UK and Australia, a move that's most likely due to laws put in place that require companies to report major breaches, and it continues to investigate the breach. “There is no evidence that there is still an active threat, and the jobs website can continue to be used,” a PageUp statement claims, although several major Australian companies such as Telstra, Australia Post, Medibank and Coles have taken their career sites offline. Some of the companies only use PageUp’s software for recruitment purposes, but others utilize it for ongoing HR and payroll management, so we advise you check with your employer for more details on which service they use. Otherwise, if you’re a jobseeker and have used any of the employment services on the company’s partner list, you should change your banking passwords as a precaution. While some companies using PageUp systems have been responsible and already emailed their customers to warn them of the breach, it’s best to be proactive when personal and financial details are at risk.